Lemon Garden at Shangri-La Hotel, Kuala Lumpur invites you to celebrate the joy of Easter with family and friends at its Easter Sunday Brunch Buffet from 12noon to 3pm on 16 April 2017. Lemon Garden serves sumptuous cuisine that are freshly prepared à la minute by chefs at live theatre kitchens offering Malay, Chinese, Italian, Indian, Japanese and Western delights. 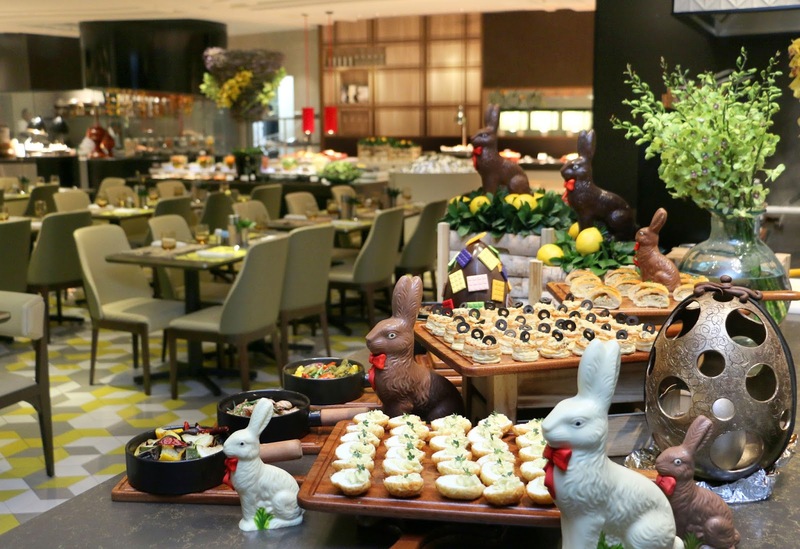 Specialities on the buffet menu from the Western theatre kitchen include BBQ glazed lamb ribs, smoked salmon with pancake roll, summer vegetable ratatouille, roasted chicken roulade, oven gratin butter fish and more. The Italian kitchen will be serving authentic wood-fired pizzas and a wide selection of tapas and pastas. 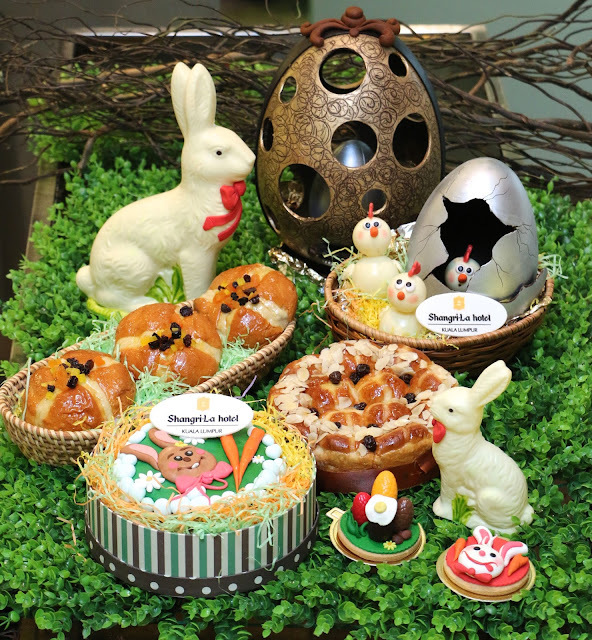 Over at the Easter bakery section, diners will get to indulge in delicious pastries such as raisins tress bread, traditional hot cross buns, cherry tomatoes focaccia, brioche roll, rye ficelle and more..
A host of delectable desserts including Easter rabbit cookies on vanilla sable, Easter eggs and chocolate rabbits, warm chocolate fudge pudding, banana almond tart and fudge walnut brownies will be available at the dessert pavilion. There will be giveaways and fun activities for children such as Easter balloon egg hunting, dough play, balloon scriptures and many more. RM 168 nett (adult) and RM 84 nett (child).